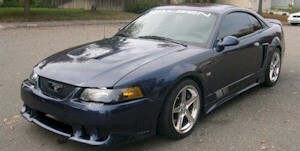 The Cobra conversion was added back to the Saleen line-up for 2001. The Cobra conversion offered the DOHC and a few styling upgrades from the standard Saleen. The S-281 S/C model carried a new Roots-type blower for its supercharger. This added another 15 horsepower over the the 2000 version. 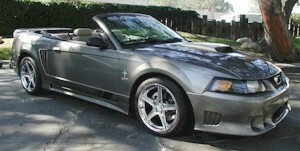 The Standard S-281 Saleen coupe started at $32,099, while the Cobra version started at $41,600. A race version (SR) model was offered for a mere $158,000.